10 Must Have Content marketing tools to promote a business online. Post Highlights :- Content marketing, free tools, business marketing, content marketing tools, web promotion and advertising tools. Content marketing is an aspect of SEO (Search Engine Optimization) which is often carried out incorrectly, insufficiently or improperly by most web marketers in the field of digital marketing and SEO. This is because content marketing is often understood as the means of using a piece of valuable content in order to gain and capture an audience which would help in getting a potential lead/customer. Although this is in fact one of the primary goals of content marketing, it’s essential to understand that there is more to content publishing and creation than to get a direct sale. This implies that not every single piece of content which would be published for content marketing should necessarily be focused on conversion. Rather content could be broadly divided into two main groups as, viral content and marketing enriched content. As the name suggests, marketing enriched content is what most web marketers engage in by promoting the products and services of their site directly to the target audience. However the viral content could be basically defined as the “bait” which shouldn’t contain absolutely any trace of marketing or sales leads and should focus entirely on getting more readership, social shares and brand recognition. There are several content and social media marketing tools which a digital marketer/ SEO specialist or other professional could make use of in order to plan, develop and implement a successful content marketing campaign for a particular business. This post would highlight the key features and benefits of the top 10 tools for content marketing which are used for content promotion and audience tracking in order to provide an overall understanding about its usage and benefits to a potential online marketer. 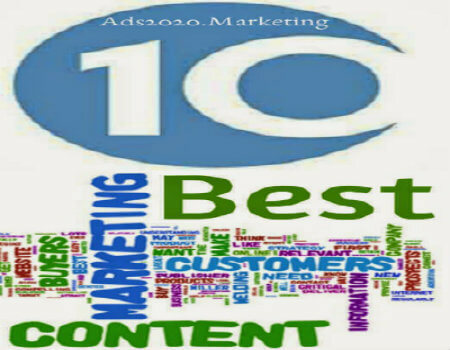 We will review here these 10 of the best Business content marketing free and premium tools. Though, any individual may use them as web promotional tools for their own website or blog. Social media marketing (SMM) is also necessary during the content marketing phase as it is a highly valuable channel to funnel visitors and gain customer recognition for a brand. The buffer app website basically gives the ability for content marketers to manage the posts which they share on their social media accounts by scheduling the most suitable time for it to be published automatically so that they do not have to manually publish it during those peak hours. Dlvr.It website is also similar to the buffer app; however it offers the ability to manage several social media accounts together when compared to the number of accounts supported by Buffer. This is highly recommendable to larger businesses which need to manage several social media accounts and schedule posts, manage analytics and determine user engagement by comparing metrics across several channels simultaneously. Storify is a very good content marketing tool which bloggers could make maximum benefit of because it helps them to relate to the latest hot topics which are being widely spoken about on the internet at any given moment in time. This implies that marketers and content creators could make use of the website’s easy to use drag and drop interface and make new content based on existing viral feeds. 4. Mailchimp : The Most Popular email marketing tool loved by all! Email marketing is also a good means of keeping in touch with an audience as it helps to keep them updated with the latest announcements and posts about the company through the use of a simple email in their inbox. A common mistake which digital marketers make when carrying out email marketing is that they fail to track the analytics and metric of the campaign and focus on tracking the landing page instead. This creates several issues including the inability to gauge the effectiveness of the email campaign and CTR, the open rate of a message etc. Mailchimp Website allows marketers to easily track the emails sent to their audience by indicating clear metrics about its CTR, open rate, engagement and other important analytics which would be beneficial to marketers. As marketers and content creators need to be in touch with the latest news and viral content which is being publicized on the internet related to their niche in order to make use of the opportunity to promote their brand. Feedly provides a platform to stay in touch with this information on any device, mobile or desktop so that one could immediately post a relevant content on their official blog or site to their audience. Although this is a fairly new platform which many online marketers have considered, the benefits which they could obtain through a careful managed Pinterest profile is invaluable in terms of brand recognition and product awareness. This is an ideal platform to obtain social sharing as well, therefore marketers could use this tool to post content which they not only need to be marketed but also needs to get brand exposure as well. Brands who use YouTube as part of their online marketing efforts could also gauge important metrics about visitor engagement, view count, demographics, gender ratio as well as other analytics by making use of the YouTube Analytics platform. This is available to every YouTube Channel which has uploaded at least one video and would give a detailed insight about its progress. The data collected from YouTube analytics should be evaluated with other metrics to determine the success rate of a particular campaign. ➤ Why You Tube Marketing is so important? This tool is highly beneficial for two main purposes of keyword research which is for SEO and for online advertising campaigns. However when using this tool for SEO purposes, marketers should not rely solely on its results because it is more inclined towards providing results for online advertising rather than organic search. Therefore it should be used in combination with other tools as well. In that case of planning an online advertising campaign the results delivered from this tool is accurate because its based on actual data from Google itself. This social media management tool is also a valuable resource for considerably large brands and organizations to make use of because of its security, analytics, engagement, metrics and apps. As it provides all the main areas which need to be considered when managing a particular social media profile, users have the opportunity to gauge the success of the online marketing campaign at a glance without much effort. The above list of web promotion and submission tools is only a selection made with a general view and purpose. There are several hundreds of valuable online tools available which could be used to carry out a successful content marketing campaign for specific niches and business types. As mentioned in the beginning business marketing in the online arena is not restricted to only making a conversion and getting a sale, rather a successful content marketing strategy should also have an effective means of engaging with the audience prior to and even after a conversion has been made. Although some of the above are not free tools, the benefits which one could obtain by upgrading the account would show immediate results to content marketers and digital media specialists within a considerably short time.